False Alarm is a wry, fish-out-of-water story about Kate McCabe, a dedicated but somewhat neurotic woman trying to juggle her career at a sports management firm with her marriage to a lawyer-about-to-quit-his-job-to-become-a fireman husband, who seems more interested in hoses than a home life. Things get complicated when Kate enters an office bonus race to sign the dashing football player Pedro—throwing her competitive all-male colleagues in chaos—and even more complicated when Pedro falls for Kate. Will Kate land Pedro before Pedro lands her? False Alarm gives us a hilarious view not only into a land of jocks, but also into the dog-eat-dog financial management world that makes “Jerry McGuire” look staid. We will send False Alarm to your Kindle at . 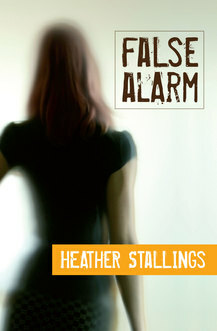 False Alarm has been sent successfully to your Kindle!